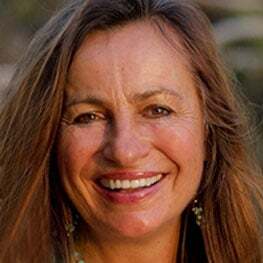 This intensive training retreat in Clarity Breathwork ™(formerly Rebirthing) is an opportunity for both accelerated personal transformation and certification in a profound and effective healing art. Participants learn to support themselves and others with daily Clarity Breathwork ™ sessions on land and in water, sacred live music and meditation, inquiry processes, movement, time in nature while immersing themselves in a healing community. The Clarity Breathwork™ process helps to activate the subconscious mind and bring awareness and insights not easily accessed through traditional therapy. Breath opens the energy channels in the body while allowing past experiences to surface and be released. These may include suppressed emotions, physical blocks in the body, limiting beliefs and conditioning, escape patterns and addictions. Clarity Breathwork™ combines counseling and insight as well as a somatic experiential process through which participants gain a deep level of insight, release emotional baggage and allow patterns to shift and transform. Clarity Breathwork emerged out of the consciousness era of the 60’s to support people in addressing core issues held in the subconscious while also expanding consciousness in order to contact one’s Essence—healing a false sense of separation. It allows people to release stress and tension, heal and resolve trauma, gain deeper insights into current life issues and access their internal healing energy, creativity and greater knowing. Level 1 introduces students to the Clarity Breathwork Process. Most people do not breathe fully. They hold their breath in and some may have been holding it forever- since the umbilical cord was cut prematurely and they were swung upside down and spanked. Many have thoughts such as: It’s not safe to be here, I’m not supported, Life is a struggle, People hurt me, I’m all alone, I can’t make it. These may be birth thoughts that are profoundly affecting one’s present life experience and may have been further imprinted by traumatic experiences in childhood as well as adulthood. Level 1 explores pre & perinatal psychology and the impact of birth, childhood traumas and negative core beliefs. Level 2 invites a deeper exploration of how the mind works; exploring imprints, patterns and the subconscious mind; a deeper unraveling of conception, womb time and birth issues, early nurturing and bonding. Level 2 addresses the wounds of abandonment/rejection, shock and shame as well as how they play out in intimate relationships. Healing sexuality is explored along with creating healthy relationships and communication tools. Healing on a physical level takes place by getting in touch with the belief systems that created it. There are presence practices, both dry and wet sessions to explore the art and science of Breathwork, to cultivate and deepen intuition. Level 3 provides the tools needed to support others in Breathwork sessions by exploring the many issues that may arise. This level also gives students ample experience through session trading and learning how to support each other on deeper levels. Both psychological and spiritual processes are explored, drawing from the teachings of Osho, Adyashanti, Byron Katie, Gangaji, Eckhart Tolle, Marshall Rosenberg, Peter Levine, Stan Grof, Krishnanda & Amana Trobe, among others. Level 4 prepares the student to create an effective, professional practice. In this level participants explore and transform the ways that birth trauma is holding them back from expressing and fully living their true life’s passion and leadership roles. Working with prosperity consciousness and manifesting, the way to success is cleared . 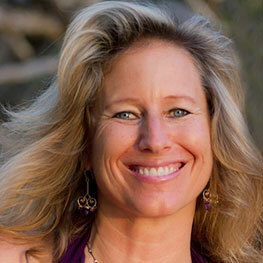 The training covers the basics of setting up a Breathwork practice- including marketing oneself and attracting clients. It also addresses ethics, appropriate behavior and client relationships. It is possible to participate in levels 1 & 2 separately, or only in level 3 & 4 (if you have already completed level 1 & 2 in the past). Level 5 is created for those who have completed all previous levels and are ready to lead and facilitate groups on their own. This eight-day intensive addresses the multiple aspects of group facilitation including: creating safe, sacred space; boundaries and ethics; leading processes; the art of using music and movement to enhance classes; leading guided meditations; more on how to create and market groups and classes in Clarity Breathwork; how to add one’s own unique essence and integrate one’s gifts and prior experience into the workshops. Students will be led step by step in a safe and supportive environment to create and co-lead their own three-hour Breathwork Clinic to the PachaMama community. Additional accommodations options are available, contact us for more information. Level 1 & 2, July 10 – 17, includes 9 nights of accommodation arriving July 9th, leaving on July 18th. *Early Bird Prices with a discount of $100 are available if you complete the full payment for Levels 1 & 2 by June 10th. A non-refundable deposit of $200 will reserve your place.